I dont know how many are having this issue, but my gem draw tells me every day that I have one more day til I can draw. I havent drew a gem all month. Can someone please look into this? This is a visual glitch and should be fixed soon. While the fix is not applied, please ignore the count of how many days are left for draw. Then, click in DRAW and you can see exactlly when you will be able to draw. 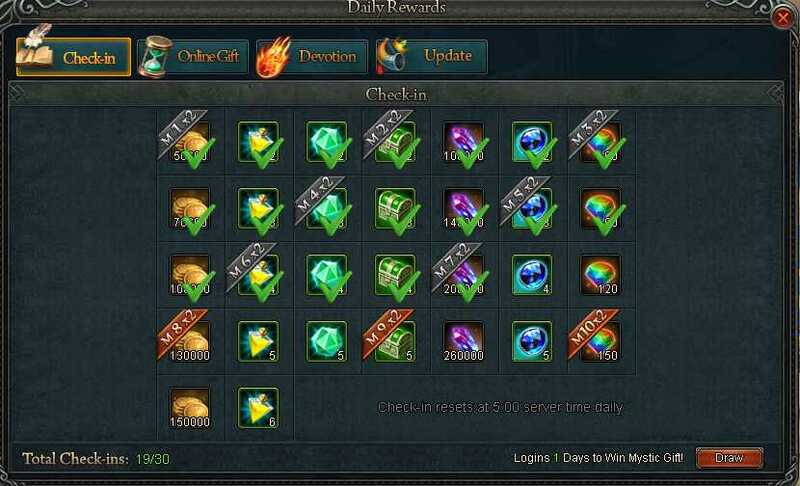 This month players will get a draw in 3rd, 7th, 14th, 21th and 28th login (look at the green bar). So, there is nothing wrong. 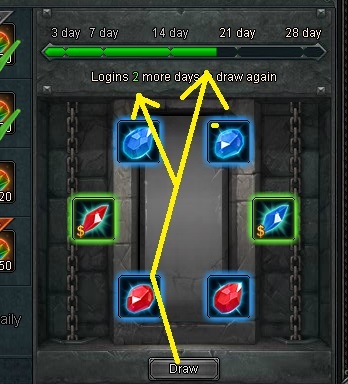 Please, ignore the count of days and go stright to the draw window to see how many days you have to login before you get a free draw. 2019-4-23 18:44 GMT+8 , Processed in 0.059795 second(s), 48 queries .